We are beyond excited to have Robbie back on The Flash. You can’t keep a good Firestorm down. Only this time, he’s back with a twist, a deadly Earth-Two version of our beloved Ronnie in the form of Deathstorm. I’m not sure how much similarity we’ll see between the TV version of Deathstorm and the two comic versions we’ve met previously. Personally, I’m hoping if there are any similarities he’s more like the second comic incarnation of Deathstorm (from the Crime Syndicate). I’ve previously outlined my concerns about the first Deathstorm incarnation. Also, according to the EW article, on Earth-Two Ronnie and Caitlin are still a couple! If you’ve been watching previews for The Flash, then you know the Earth-Two version of Ronnie’s former wife, Caitlin Snow (Danielle Panabaker), is actually Killer Frost! 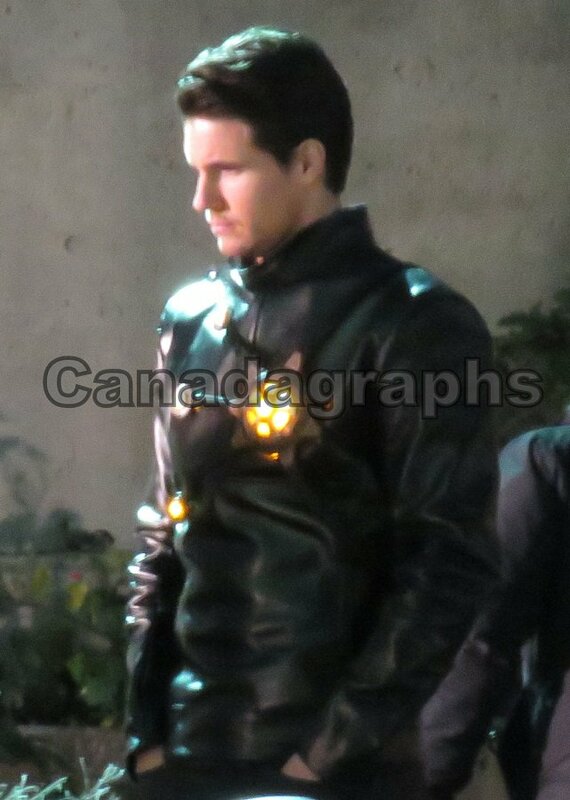 Below is a pic of Robbie Amell in his Deathstorm costume taken on the set of The Flash. 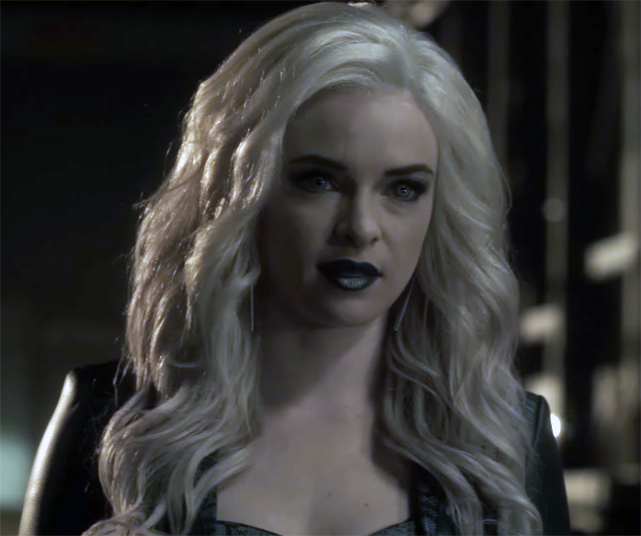 If you’ve missed recent previews, check out Danielle Panabaker as Killer Frost below! Check out the trailer below, or click here! If you can’t wait for the new season to start, keep up with all The Flash news via our friends over at The Flash Podcast! My thanks to many, many Match-heads for the heads-up on Robbie Amell’s and Danielle Panabaker’s alter-egos! Support Firestorm (and The Flash TV Series)! Fan the flame! Posted in: Deathstorm/Black Lantern Firestorm, Flash TV Series, Killer Frost, Robbie Amell, Ronnie Raymond. My biggest problem with Deathstorm in the comics is that they overplayed him (well, I didn’t see his forever eval version) to the point it started becoming humorous. If you told me he wasn’t a reanimated Ronnie, but William Shatner brought back I would have believed it.